Cramaro has made the Mentor even better. This system over the last 3 years has become the standard for a water resistant cable system. 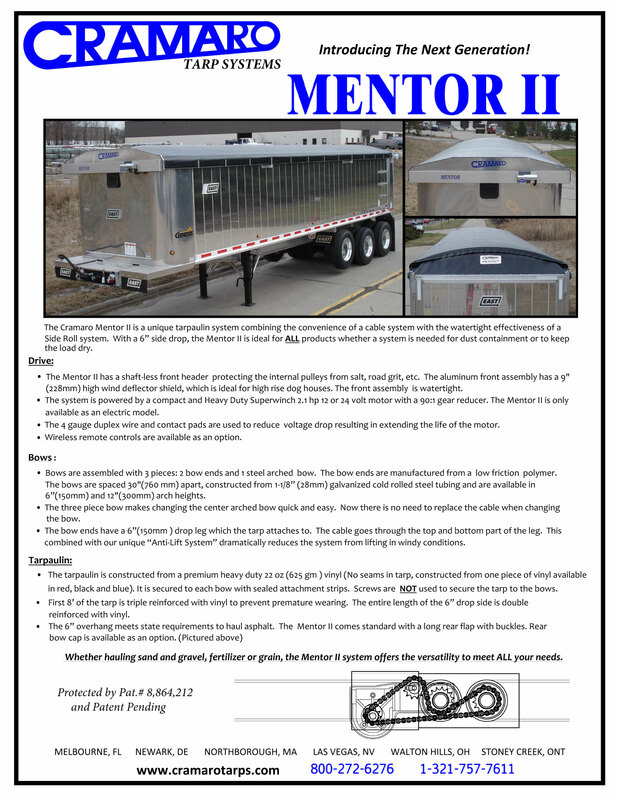 The Mentor allows the hauler of weather sensitive products to have peace of mind when it comes to having a dry load. The Mentor has a 6” drop side and a sealed rear cap. Like the popular Slide N’ Go, the bows and tarp slide from the rear to the front when loading and back to the rear for travelling. This system is powered by a 2.1 hp. SuperWinch motor. The Mentor II has a shaft less front assembly. It is more aerodynamic and the front pulleys, gear reducer and gearbox are self-contained. 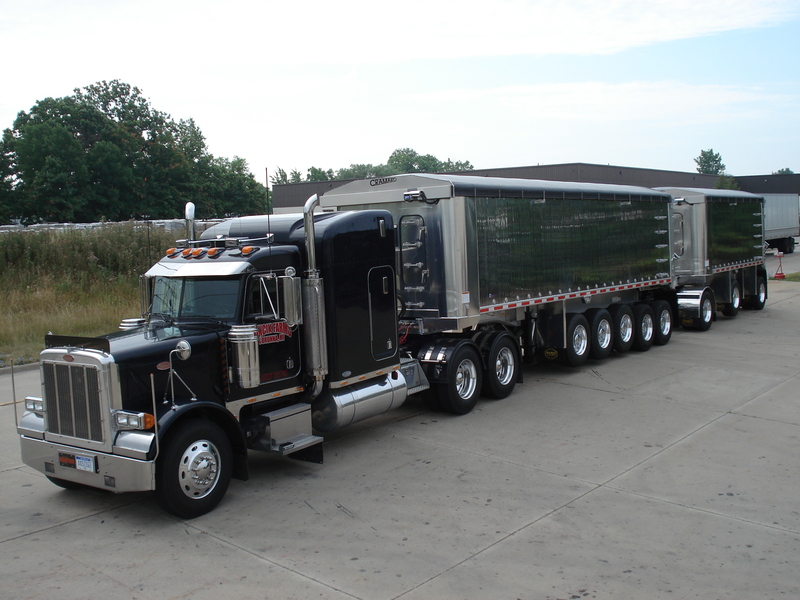 Whether it is the Mentor I or the Mentor II, this system allows a company to haul both sand and gravel product; as well a grain, fertilizer or a product that needs to be kept dry, with the same trailer. It gives versatility to the operator.